Woohoo!! I finished my 2016 mindful journal today, and I’m feeling energized and ready to start my 2017 journal. Two years of mindful collage…exploring, discovering, transitioning, and navigating the ups and downs and the ins and outs of my life. It’s been a beautiful commitment to myself…and I’m not done. gradually, the journal becomes so fat that it’s really difficult to work in it. 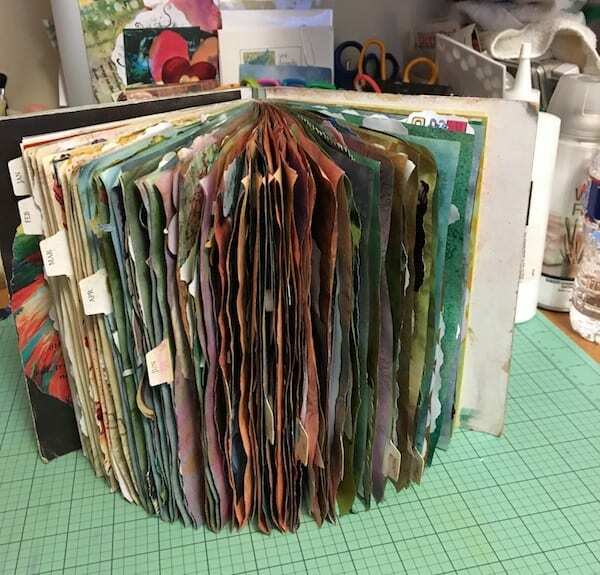 So, this year my journal is a small loose leaf binder, roughly 9 inches long by 8 inches wide, and it’s made of heavy cardboard so that I can collage over it for my cover. 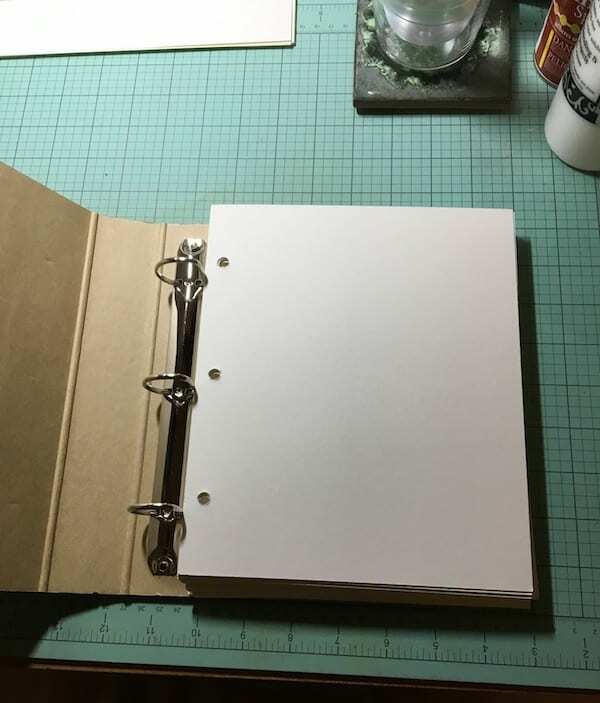 I’ve found some heavy paper and had it cut to fit into the journal. 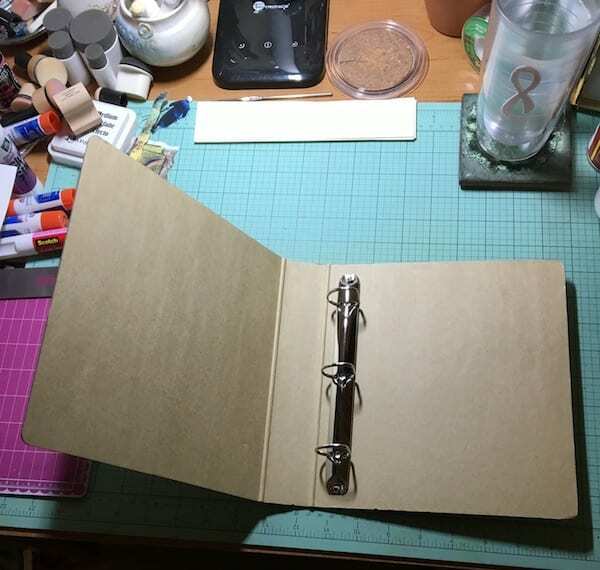 My feeling is that now I can work on each page out of the journal and I think this will be soooo much easier. This week I’m working on the journal itself, creating a front and back cover. 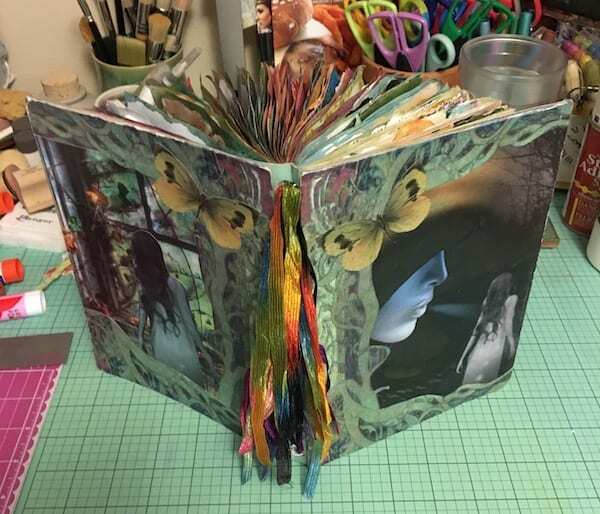 Though I’m not sure yet what the theme will be, ideas are running through my mind and crashing into each other…a little side effect of mindful collage. I’ll post more about this next week. I would love to hear your ideas on what you’re using as your journal this year. I welcome your thoughts, so, please feel free to share in the comments section below. And if you have any questions about Mindful Collage, I welcome those too. It’s going to be a mindfully creative year!